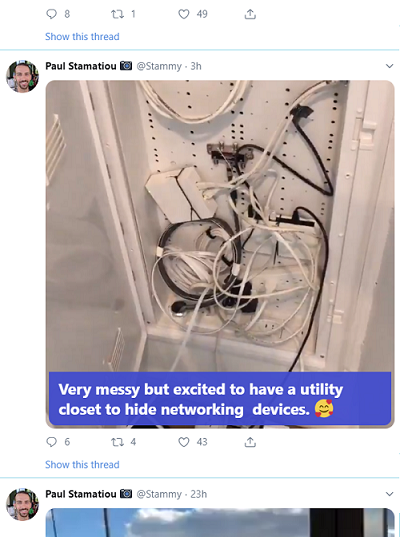 This is interesting – after recently launching its new camera option, which enables users to swipe left into a new capture flow, and add colorful overlays to their images, Twitter is also bringing a new presentation for such content to the web version of the app, which uses the same overlay style, but also pops out the tweet and corresponding conversation into a separate window. You can see how the new format stands out, with the colorful overlay amplified down the bottom of the image, as opposed to the regular tweet then text presentation. But that’s not all – when you actually click on the tweet, it breaks out into a whole new window format. That bigger, bolder design will no doubt see the option get a lot of attention from influencers and marketers alike – with social feeds getting busier and busier, and Twitter streams, in particular, moving quickly as tweets come through in real time, anything you can do to stand out is a bonus. And this most definitely does stand out. It’s also interesting to consider the potential flow-on implications of this design. With the breakout format – which could also be applied to the mobile version of the app – that could also further lend itself to a more Stories-like format. Imagine, for example, if you were to add multiple images or video clips to this tweet, which the viewer could then swipe through, with the entire response thread lined along the side, prompting further engagement. We noted that Twitter didn’t go ‘full Stories’ with the introduction of its new camera tool, but this could be another move in that direction, aligning with user trends, and likely helping to increase engagement and interaction. Given this, it would make sense for Twitter to do so. 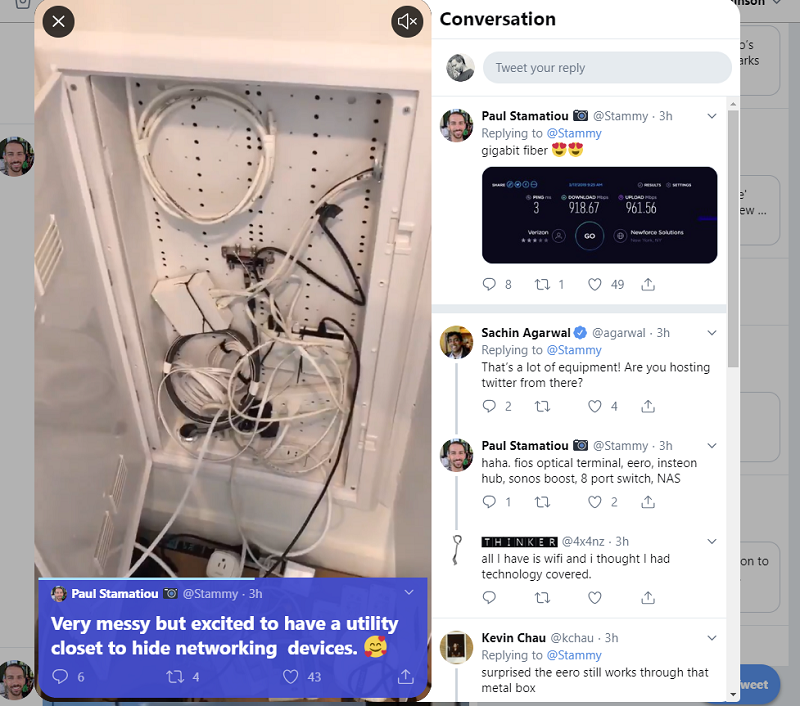 At this stage, its not clear exactly what Twitter’s plans are for the camera, but definitely it adds a whole new visual focus, and a new element to the traditionally text-focused tweet process. It’s early days for the option, but it looks set to be a significant shift for Twitter more broadly.